Way back in December, Ryan over at “O No! Another Orioles Blog” had a group break and I had completely neglected to post the loot from it before now. I blame the holidays. 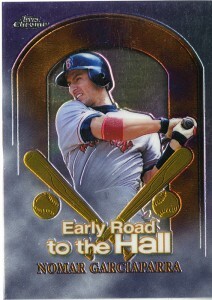 First up 2002 Upper Deck MVP. A nice little set that had completely escaped me so far. 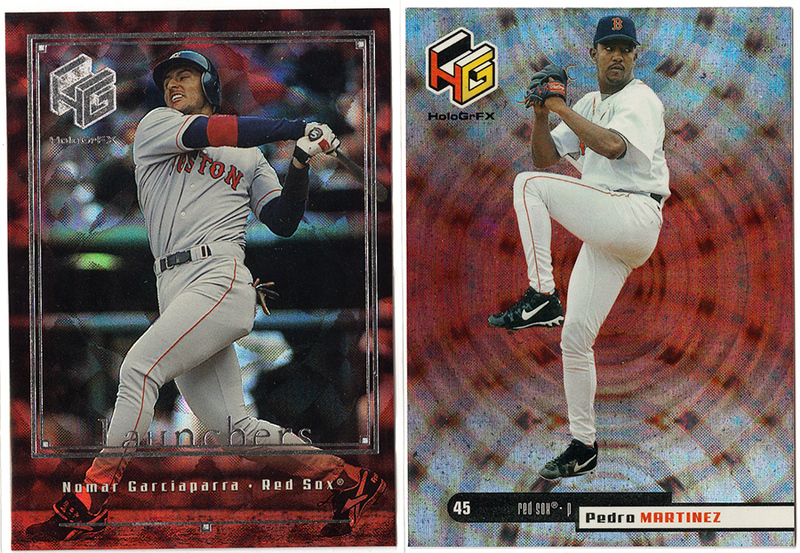 Nomar, Trot, Pedro, awesome stuff. You can never have enough Nomar. 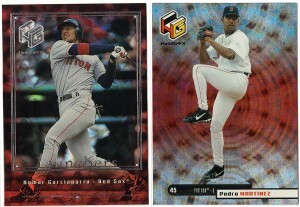 Next, two very nice cards from 1999 HoloGrFX. 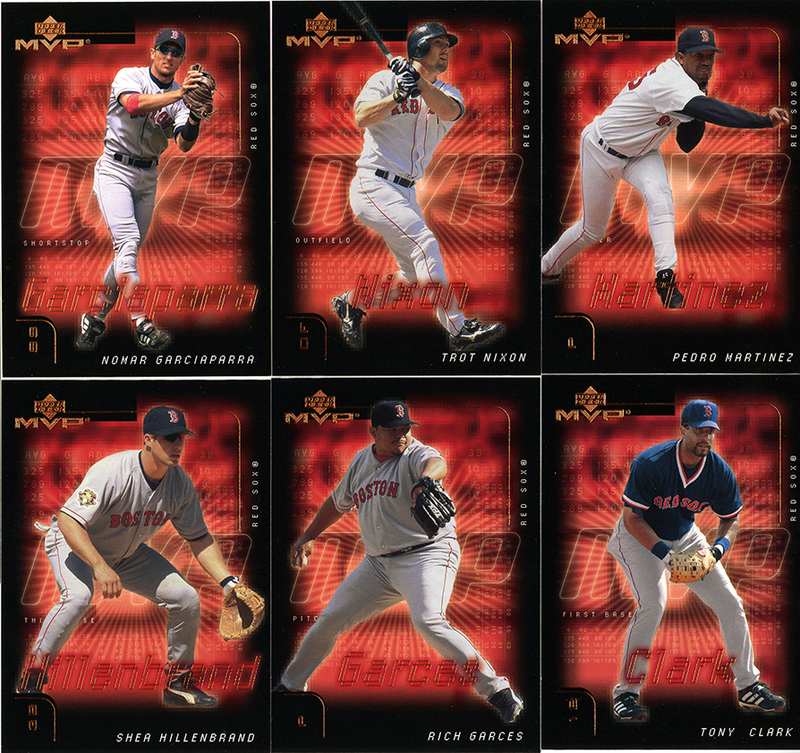 Did you know Upper Deck made that line? For some reason I didn’t. I thought they were Pacific or something. 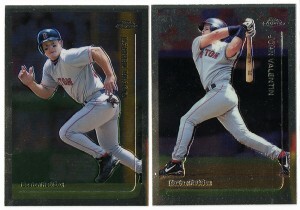 I love that Nomar “Launchers” insert. It’s got a cool “wave” pattern going on behind it, almost like the “ice” inserts in this years Bowman products. 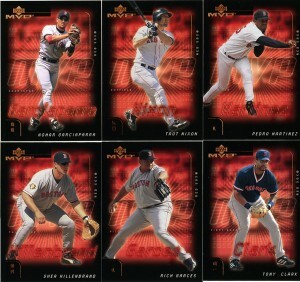 Last but not least, a sick insert from Chrome again. 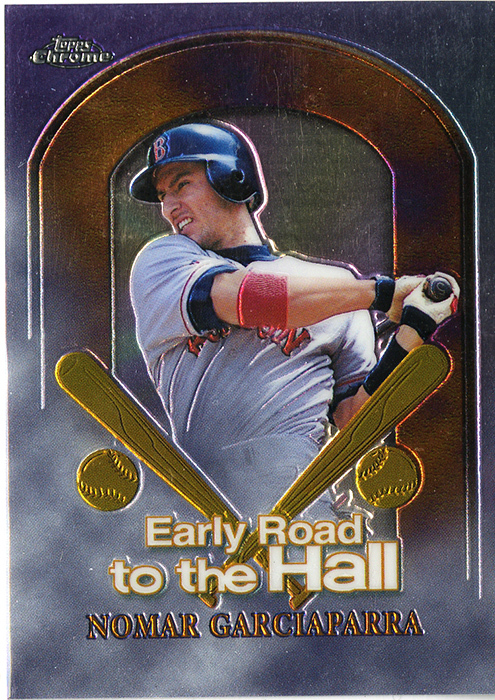 Nomar, “Early Road to the Hall”. I actually had the diecut version of this (jagged edges, pretty neat card) but the regular version had escaped me until now. This is actually an awesome and well needed pick up. Thanks for the great break Ryan! Can’t wait for the next one.